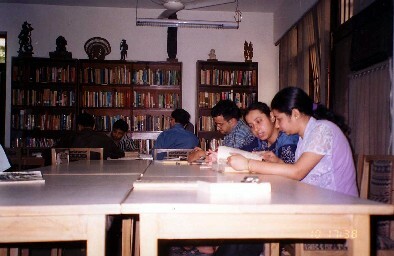 The Devahuti-Damodar Library (DDL) is a specialised library whose primary objective is to make this valuable collection available to serious readers and to provide a reference service in the fields represented in the library. It is a modern library using sophisticated yet flexible methods of classification and cataloguing for efficient retrieval. It has a small caring staff, including subject specialists. The library is affiliated to the Developing Library Network (DELNET) which offers on- line cataloguing network facility for books, periodicals, articles and CD-Rom database, thus sharing its resources and providing access to a number of libraries not only in Delhi but also from all over India. 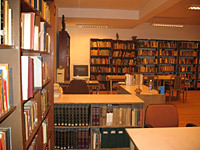 It is a reference library. No printed material either by way of books, journals, pamphlets etc. will be issued on loan. Services provided include preparation of book lists, bibliographies and photocopying facilities at cost to both local and outstation members/inquiries. 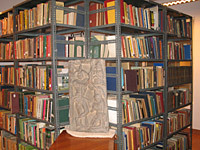 Members are most welcome to make suggestions on acquisitions and on any other aspect of the library’s services. Membership is open to scholars, researchers and students. There will be no membership fee charged. The library will remain closed on Sunday, national holidays and on festival viz. Holi, Dussehra, Deepavali and Christmas.